Iowa church refuses to die: 156-year-old congregation epitomizes the challenges faced by many small, rural Churches of Christ (reporting from Montezuma, Iowa). Page 1 lead. First part of “Rural Redemption” series. MONTEZUMA, Iowa — Snow coats the ground as Pauline Ell arrives for Sunday worship on her 89th birthday. A bitter wind brushes Ell’s curly hair as she steps out of her daughter’s car and into the little white church building where she has worshiped her entire life. 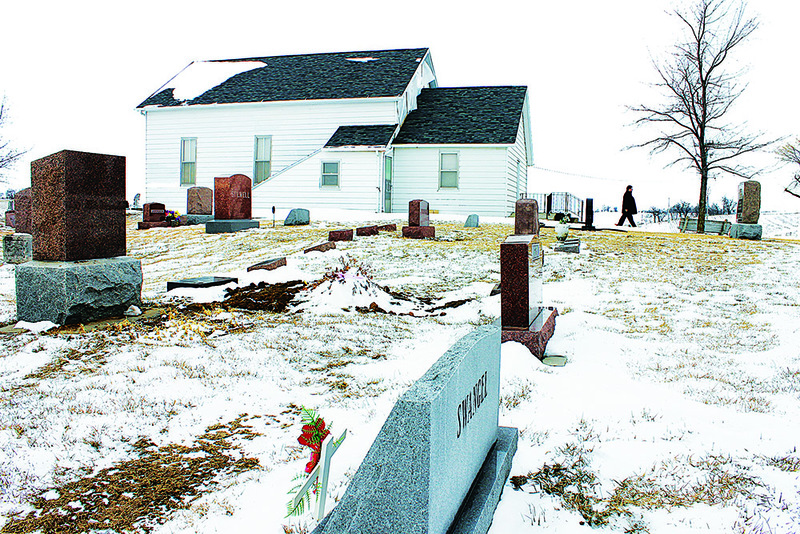 Corn and soybean fields and a cemetery where generations of deceased members rest in peace surround the West Liberty Church of Christ. The 156-year-old farm church traces its roots to 1857 when settlers began meeting in a log house. Later, the congregation assembled in a renovated barn. In 1867, the church building that still stands was erected. The cost: $1,200. For Ell, this Lord’s house where she grew up warming her hands by a wood-burning stove holds a lifetime of memories. As a young girl, she often rode to services in a horse-drawn sleigh. Out in the country, a little Texas church defies expectations (reporting from Greenwood, Texas). Inside Story. 50 years in one pulpit: The secret to Robert Oglesby’s longevity. Second Front. Arkansas enacts new church gun law: Ministers, leaders discuss impact. Second Front. Putting a focus on rural churches. Editorial. This post highlights my stories in the April 2013 print edition of The Christian Chronicle.